Check out my AUDUSD chartwork! 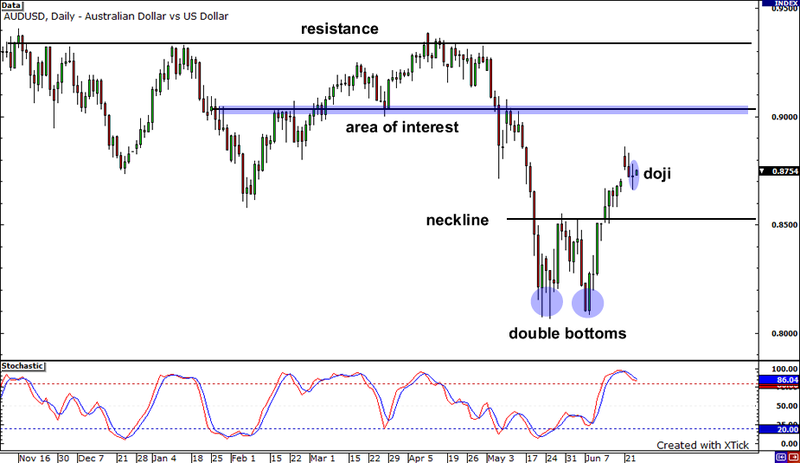 A few weeks ago, the pair broke above the neckline of the double bottoms formation. It proceeded to climb higher and even made a huge gap up during the weekend but seemed unable to sustain its rally. If sellers take the upper hand, the pair could fall back and find support at the broken neckline. But with that nice doji pattern looking to put a halt to this week’s declines, the pair could resume its climb, possibly until that area of interest near the .9000 handle. If the pair’s rally is strong enough to break above that level, it could even head towards the resistance at the pair’s yearly high. Wow, that’s a nice steep drop by the EURJPY pair! 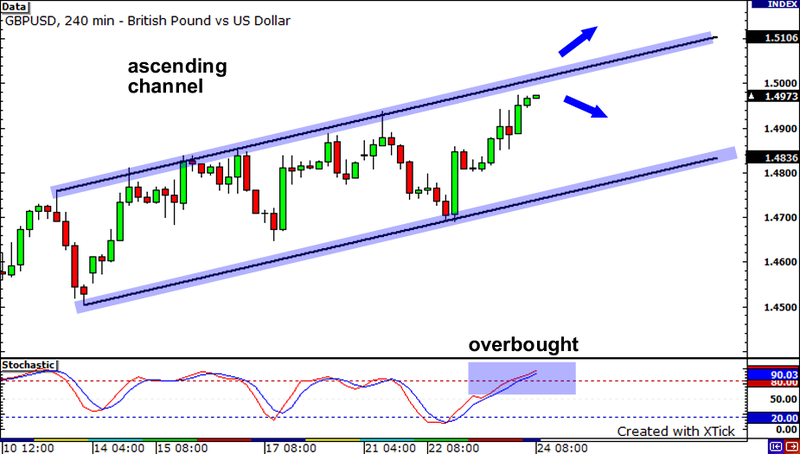 But with that regular bullish divergence showing on the 1-hour chart, the downtrend might be over. 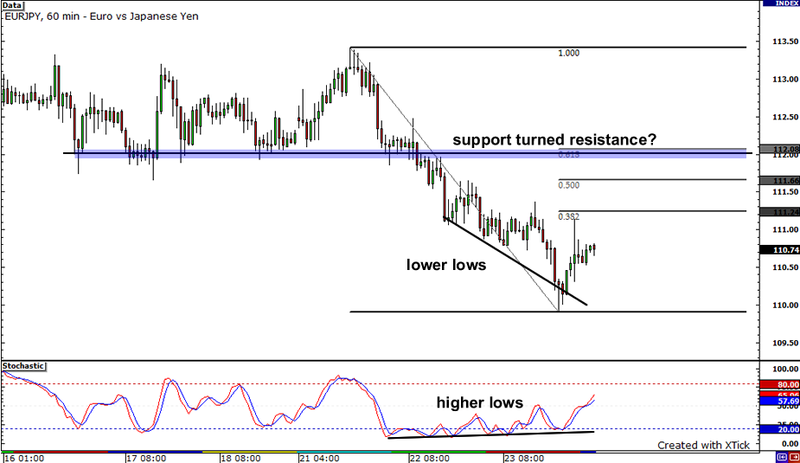 If the pair moves up, it could find some resistance at the 61.8% Fibonacci retracement level. This lines up with a broken support level, which could now act as a ceiling for the pair’s rise. But if the EURJPY continues its decline, the previous low near the psychological 110.00 handle could act as support. Last but not least, let’s take a look at the mighty cable! The pair has been stuck in an ascending channel as of late, and looks like it could be testing the upper bound resistance soon. The question on my mind is, will it hold or will it break? If the pair holds, we could see the pair dip before finding support at a previous high at 1.4935. On the other hand, if the buyers decide to bust the pair out of the channel, we may see price test former highs around 1.5050.